One of the Hummert's most popular soap operas, Young Widder Brown transcended time and appealed to the common folk of America. The show tells the story of young Ellen, a 30 year old mother, who struggles to raise her children without the small town mentality that came with living in Simpsonsville. Simpsonsville was not your typical, homegrown town of great neighbors and good ol' fashioned football. This small town harbored lies, deceit, and all the other juicy ingredients that accompanied a Hummert-written soap opera. Ellen, the owner of a tearoom in the town, was usually received the short end of the "stick," and was never given the benefit of the doubt. Her foes would make misleading stories about Ellen, which at one point, led to a town-wide boycott of the tearoom! 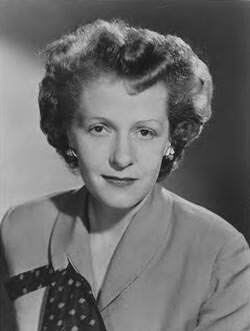 If this was not enough, Ellen had to deal with suitors that would be easily seduced by either the beautiful, but very spoiled and petulant, such as Joyce Burton, or the evil and despicable, such as Millicent. The show's deceit lasted all the way up to June, 22nd of 1956, where her long-sought love, Doctor Anthony Loring, finally proposed to Ellen during the final episode, and in the final seconds! While falling into each other's arms, due to exhaustion, Anthony said "Will you marry me, Ellen?" and Ellen replied, "Yes, I will, Anthony!" 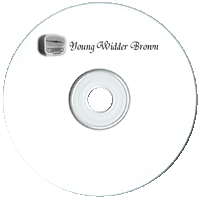 Be the first to comment on "Young Widder Brown"